The end of 2018 found us parting ways with Darren as he has decided to focus on his own music projects. With this, we welcome Pat Fletcher to the band as our new, full-time drummer. Pat brings a wealth of experience and energy to the band as we look to the future. We are currently recording a cover song for an upcoming tribute album for a band that has greatly inspired us. This willl be an International release featuring many great bands. Details to come. After we finish recording the tribute song, we will get back to writing and recording our next full length album. We have no set end date but we are aiming for a release in 2020. 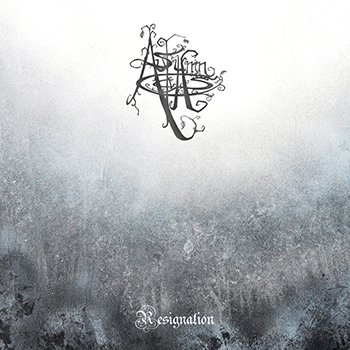 Resignation is a re-release of the Emotionless EP (2009). All of the songs have been re-recorded and we’ve included two previously unreleased songs “Suffering” and Soulless”. Available in digital and CD format. CD version comes in an 8-page booklet featuring all new, original artwork by Wallace R. Gillard and includes the original recording of the Emotioness EP as bonus tracks. As Autumn Calls is a death/doom metal band from Sudbury, Ontario, Canada. The band was formed in 2005 by Andrew Ilves and James Hawkins. The band name As Autumn Calls was taken from the Estatic Fear song found on the “’Somnium Obmutum” album. Between 2005 and 2008 the duo wrote and recorded “An Autumn Departure” but the desicion was made to put the album on hold and focus on new material. In December 2009 Andrew and James released a three song EP titled “Emotionless”. The release of “Emotionless” slowly gained the band some attention in the underground doom metal scene and in 2010 the band signed with German label Naturmacht Productions. Darren Favot joined the band as a full time drummer and the guys began work on re-recording the unreleased “An Autumn Departure” album. The updated version of “An Autumn Departure” was released in May 2011 by Naturmacht Productions with a cassette version released by The Northern Cold Productions. Brendan Peacock joined the band as a second guitarist in 2011 and for the first time As Autumn Calls featured a full line-up. With this new line-up in place the guys began work on their second full length release “Cold, Black & Everlasting”. The album is an expansion on the theme and concepts of 2009’s “Emotionless” EP. As with the EP the songs on “Cold, Black & Everlasting” flow together musically and lyrically to tell a story of the constant, internal struggle to find peace and contentment in life. “Cold, Black & Everlasting” was released in October 2013 through Naturmacht Production’s newly formed doom metal sub label Rain Without End Records. In October 2017 the band released “Resignation” through Russian label Frozen Light. Resignation is a rework of the “Emotionless EP” featuring two previously unreleased songs. After the release, Darren Favot left the band for personal reasons and was replaced by long-term friend of the band, Pat Fletcher. As Autumn Calls is currently working on a new full length album.